This house in Chandler, AZ had a typical front yard landscape with lots of grass. 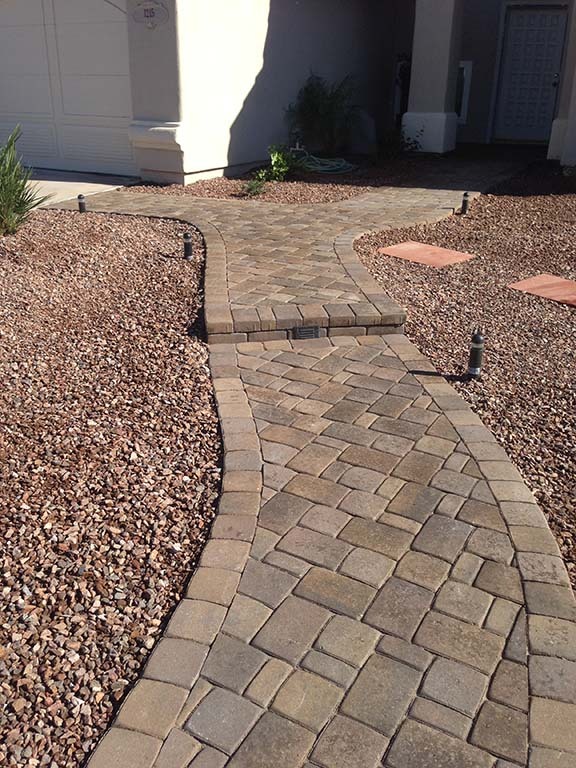 The customer wanted to do a front yard landscape remodel and convert the grass to a water wise desert landscape. Arizona Living Landscape & Design dug out all of the Bermuda grass and installed commercial grade felt. We then created a beautiful new desert landscape front yard. 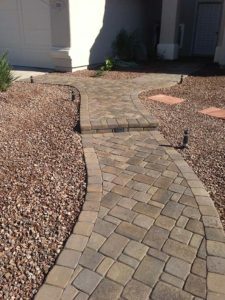 We installed a new sidewalk to the driveway and street in pavers with a step and lighting. We installed several mounds with boulders and plants that are all low maintenance, low water use desert plants. The result is a beautiful new yard! This is the front yard before the landscape remodel with grass.